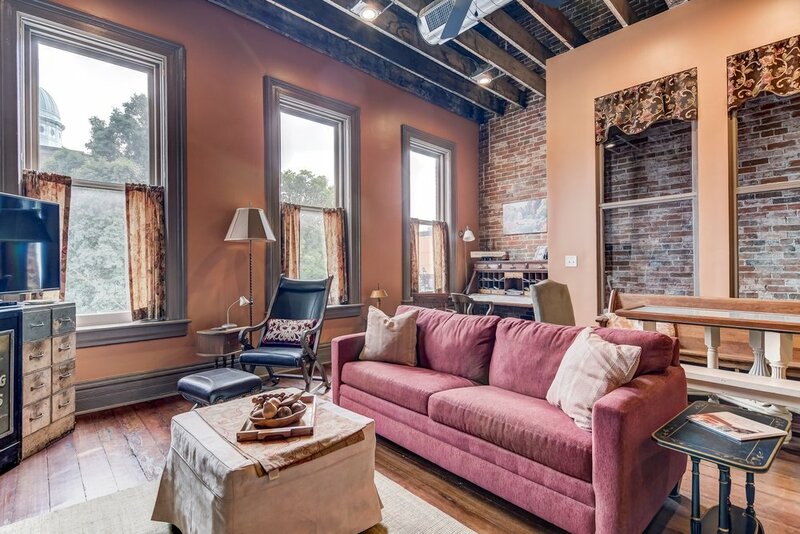 Located on the north side of the square in historic Petersburg and conveniently located near Springfield and many Lincoln sites, The Loft on the Square is a beautifully renovated studio apartment which from its second floor perch overlooks the 1896 Menard County Courthouse and the historic town square. The loft features a mix of charming character and modern amenities. The loft is available for nightly or weekly vacation rentals. 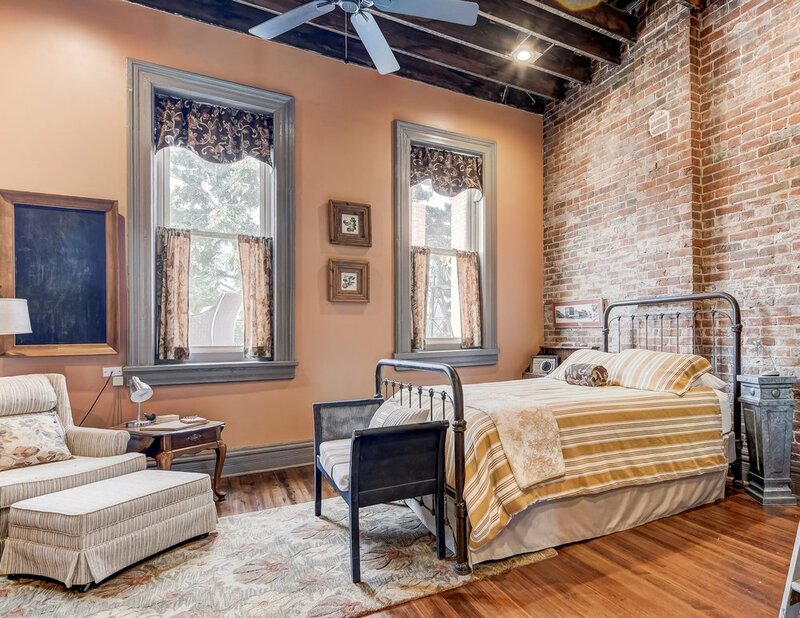 This luxurious 1,400 square foot fully furnished studio apartment offers comfortable, cozy and private accommodations in a quaint, historic setting. 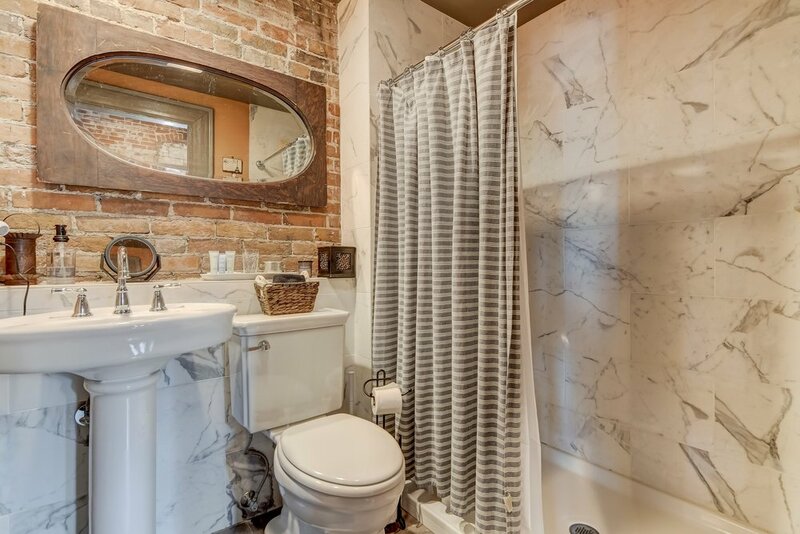 Newly renovated in 2015, the space features beautiful exposed brick walls, a tiled shower, a cozy gas fireplace, outdoor space for fresh air, and a birds-eye view of the lovely Courthouse square. 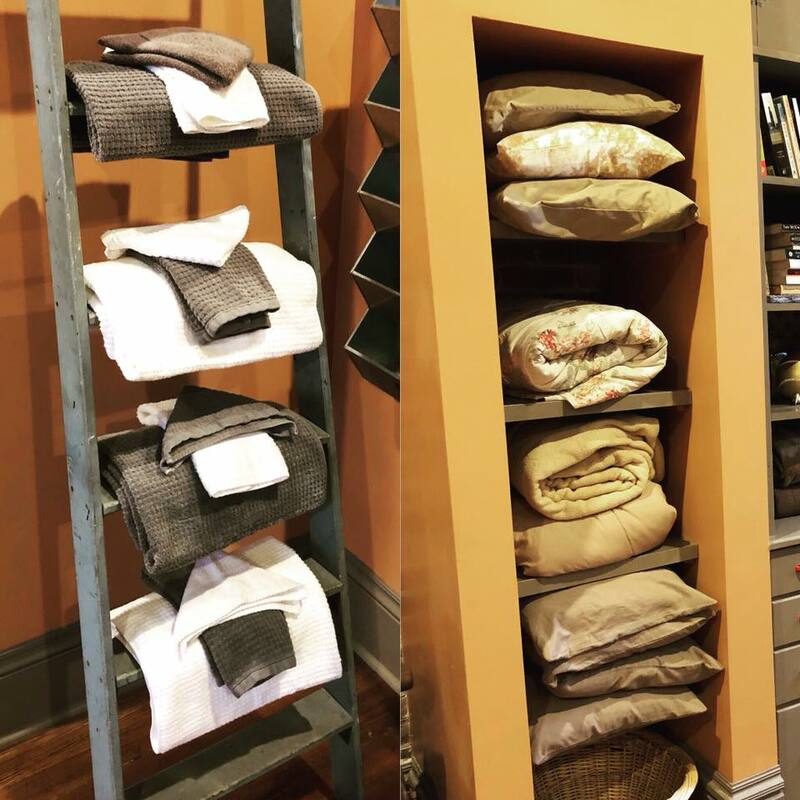 The loft is equipped with everything you'll need to make your stay memorable. 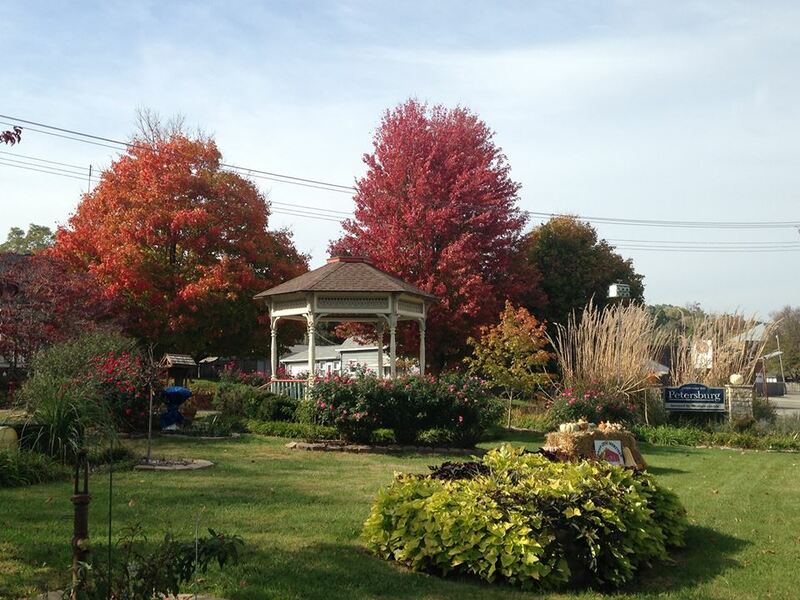 Enjoy a home cooked meal next to the fireplace or dine at one of Petersburg's downtown restaurants, stroll around the square to visit local antique, craft and boutique shops, and don't miss the two nearby wineries and Hand of Fate Brewing Company located right next door to the loft. Enjoy a day at the beautiful Lincoln's New Salem State Historic Site, just two miles away, or drive to Springfield where you'll find several museums and attractions, including the must-see Abraham Lincoln Presidential Library and Museum.